Modern organizations require high performance inter-site communications to integrate their data, video and voice networks, providing their staff seamless access to resources & people. Cost effective digital communications are critical to support the organization’s operations on a timely basis. 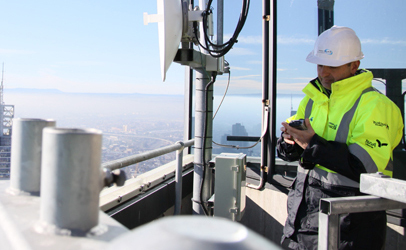 DyCom’s “Connecting Places” portfolio consists of a set of products and services that deliver high performance, high availability and cost effective connectivity using the latest generation of IP based point-to-point radio systems on the Class Licensed and Licensed spectrums. They provide from 25 Mbits per second to Gigabit per second communications with distances up to 40 kilometers long. 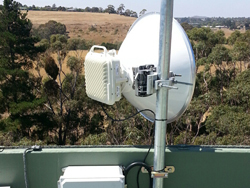 Class Licensed point to point radio systems operate in the 5.4 Ghz, 5.8 Ghz, 24 Ghz, 60 Ghz and 80 Ghz bands. They are described as class-licensed as entities can deploy them without the requirement of a license thus reducing the system’s operating costs. However systems operations have to comply with the ACMA regulations in terms of power and channel bandwidth. Licensed point to point systems require a co-ordinated license from the Australian Communications & Media Authority (ACMA). 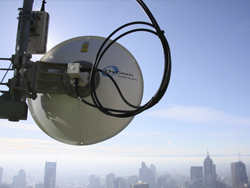 They operate in a variety of bands from 6 Ghz for long links (up to 50 Km) to 38 Ghz for short links (up to 4Km). They range from 50 Mbps full duplex to 500 Mbps full duplex transmission. License costs depend on the spectrum used and the area of operations. 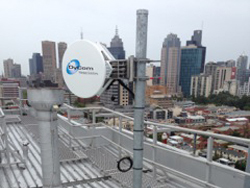 Gigabit radio links typically operate in the 80 Ghz band and require a low cost registration from the Australian Communications and Media Authority (ACMA). They are used for short distance communications of up to 2 Km and deliver up to 1Gbps full duplex. New technology developments are doubling up their capacity to 2 Gbps full duplex transmission.